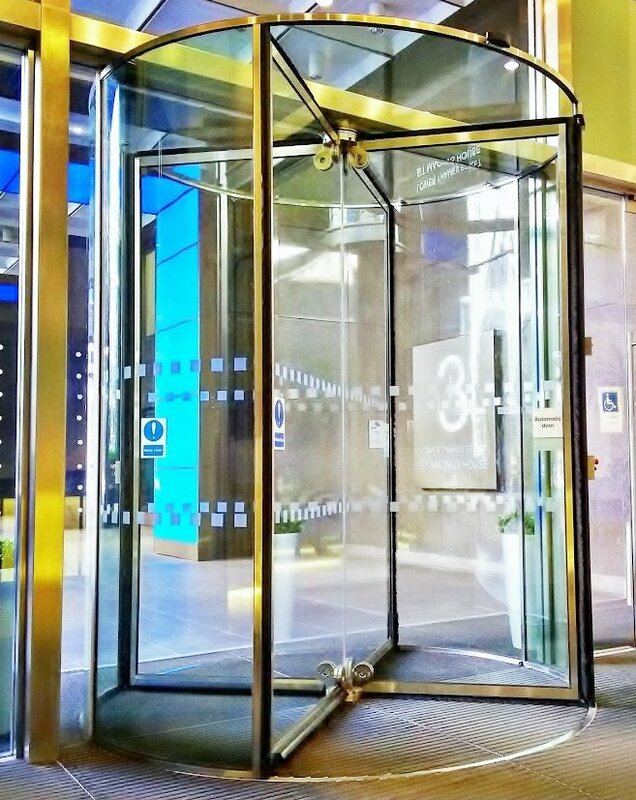 For many door companies, offering an oversize entrance door is a headache, manufacturing it with a short lead-time is often a non-starter. 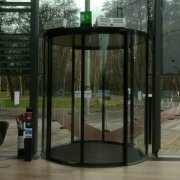 However for EA Group this is what we do. 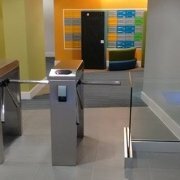 And we have recently done it again at St Magnus House. 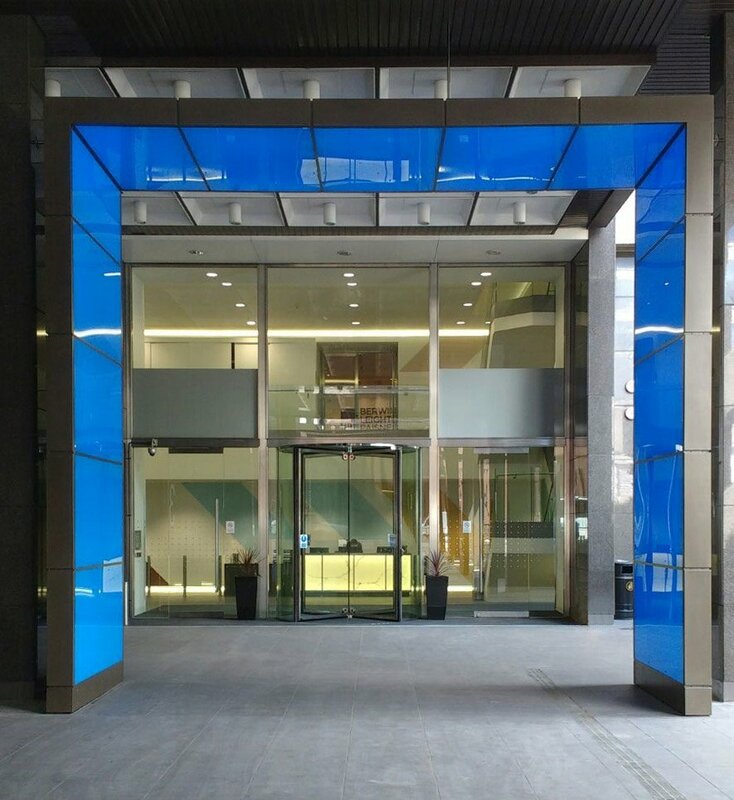 Sited near Monument in Lower Thames Street, London, St Magnus House is a sixties building named after the nearby St Magnus Church, one of the 51 parish churches rebuilt by Sir Christopher Wren after the Great Fire of London. 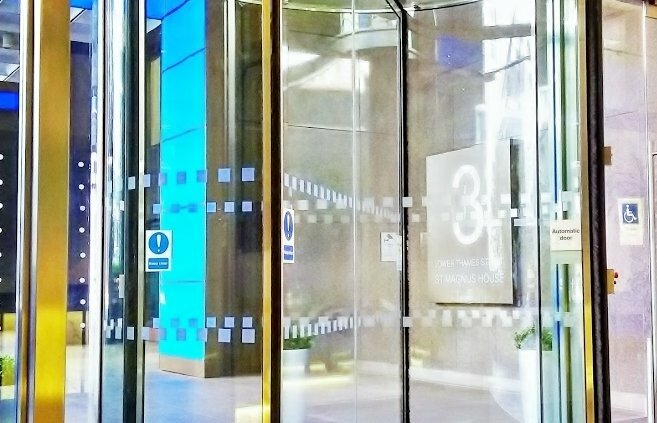 St Magnus House had a non-functioning 3 metre tall all glass door that had been installed many years ago by another manufacturer. 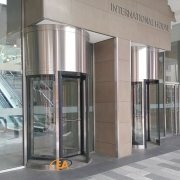 EA Group were tasked with replacing this oversize automatic door with another that met the latest EN16005 regulations. 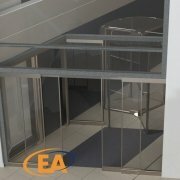 Over the course of two days, we carefully removed and replaced their existing door with a brand new EA bespoke automatic revolving door that fitted exactly into the same space, not only above ground, but with an underfloor drive mechanism and bespoke mountings that were fabricated off site to fit into and suit the existing slab recess. 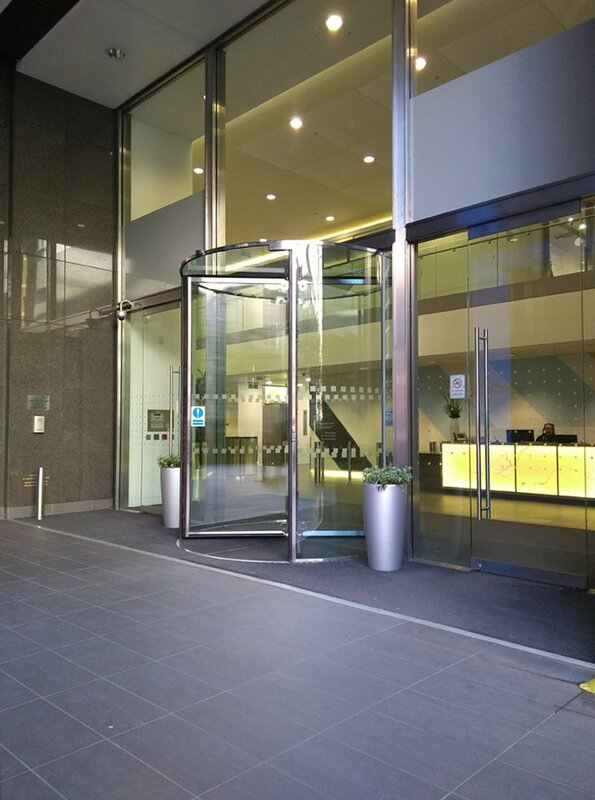 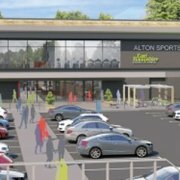 To add to this feat of engineering, the new EA automatic door was made available to the site with an expedited delivery to meet their tight programme of works. 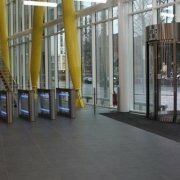 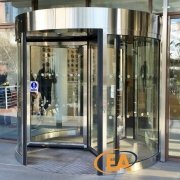 EA Group employ staff with decades of automatic revolving door product experience, from concept to installation. 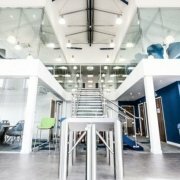 The project was delivered on time, on budget, even with the technical challenges that we were faced with.